Through her colorful and whimsical work, Robin Pickens celebrates the connections we make with nature, family, and friends. Robin's appreciation of the beauty all around us comes vividly to life with her brightly colored and inspirational illustrations. 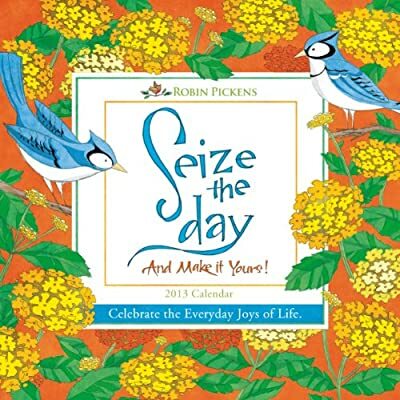 The Seize the Day And Make it Yours wall calendar from Sellers Publishing, offers her unique artistic talents for your enjoyment.